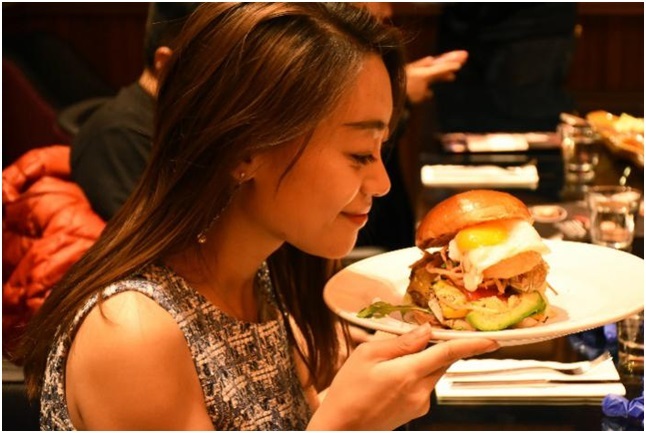 Business Tianjin Magazine - News All your favorite ingredients in one Burger? 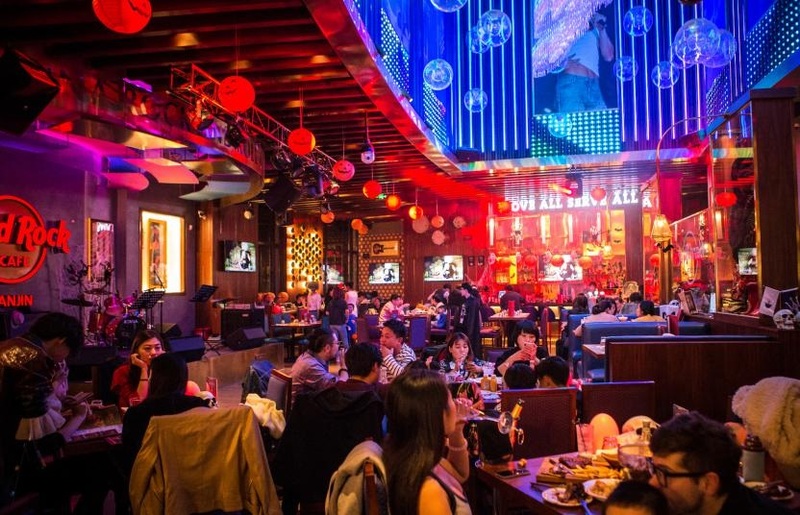 Hard Rock Cafe Tianjin brings you to the fun dining experience. Get Creative! All your favorite ingredients in one Burger? 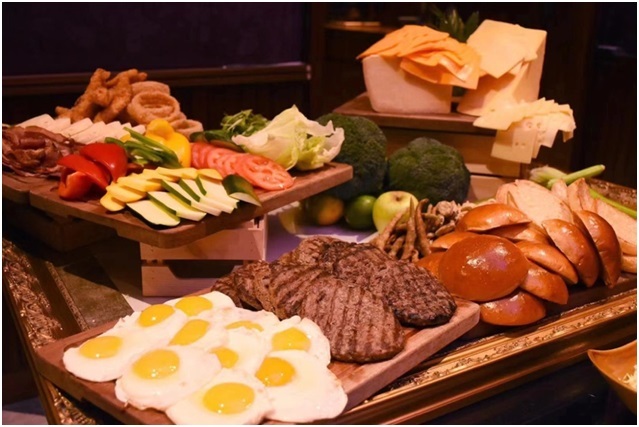 Hard Rock Cafe Tianjin brings you to the fun dining experience. Get Creative! 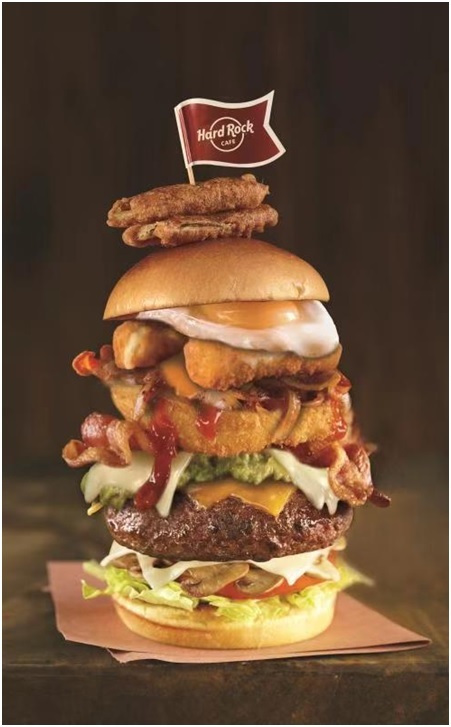 If you ever dreamed about making one burger with everything you like, Hard Rock Cafe Tianjin is where you have to go. You can build as many as you like! Start by fresh brioche bun that sounds appetizing, add on a special topping that appeals to your taste like pineapple, avocado or a sunny side up egg and many more! Top it off with a sauce, and your burger is an edible masterpiece! You’ll never be left unsatisfied when you build your own burger! Let your inner foodie come to life and enjoy all of the flavorful options of our build your own burger concept. It is a blessing for all Cheese-lovers, which is as many as 4 options are available for you to choose, including the well-accepted cheddar, American’s favorite Monterey Jack, traditional Swiss, and the classic Mozzarella cheese stick. The gorgeous and tasty combination of one beef patty, two pieces of golden fried chicken tender and four slices of smoked bacon, sided with baked pineapples rings and sunny-side-up egg, is strongly recommended to the meatatarians. This limited offer of Build Your Own Burger is a must for DIYers and food lovers. 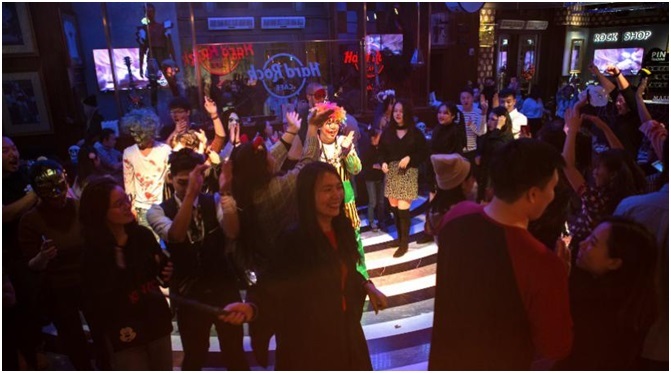 New and repeated customers have been flooded into Hard Rock Cafe Tianjin to build your own burgers. Beef patties, cheeses, mashed potatoes and vegetables are on the top of list for fans of American burgers, while fried jalapenos are prepared for those who favor Mexican style. Fun of custom design is all about the surprising flavors and tastes await your first bite. It’s one of those experiences that you would dream for. At the media event night, media and presses were invited to have the frist experince of building their own burgers. 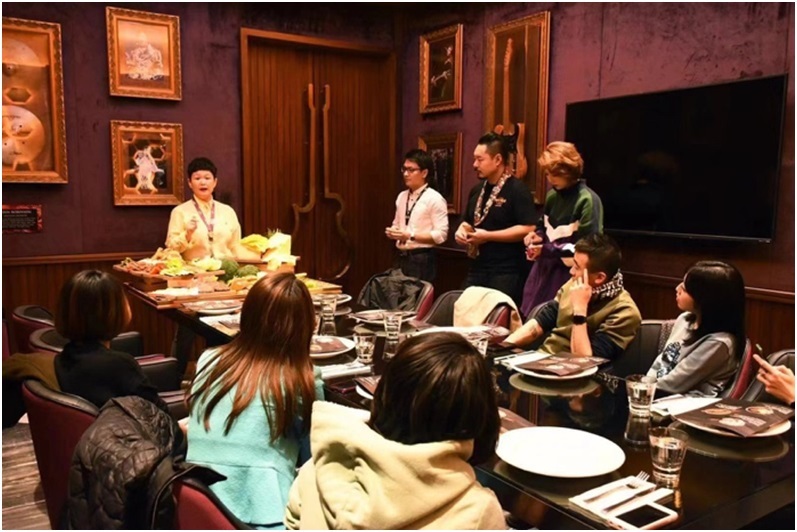 Chef of Hard Rock Cafe Tianjin presents, elaborates the principles of recipe design, and shares the fun of custom design burgers. It was surely a treat for all the attendees who had their original burgers made that night. 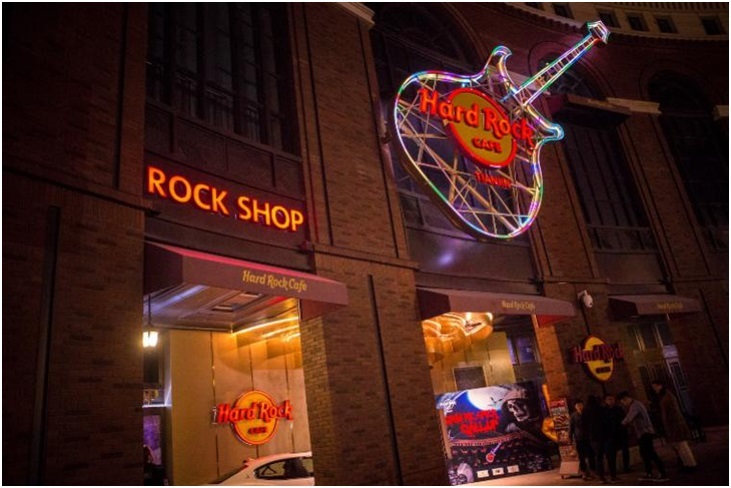 Hard Rock is on its way of sweeping around the world with authentic American foods based on the selection of high-quality materials. Their signature burgers, exclusive desserts and special liquors have won them countless fans all over the globe. 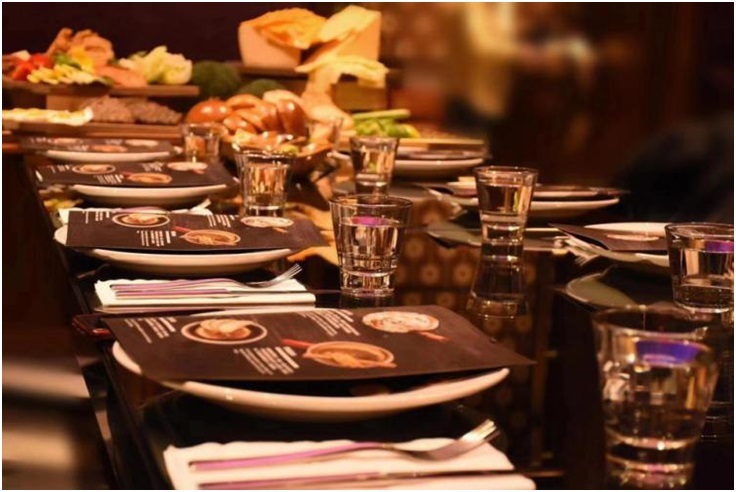 Besides the regular menu, a time-limited offer is normally available every two months, offering customers with more refreshing and fun dining experiences. 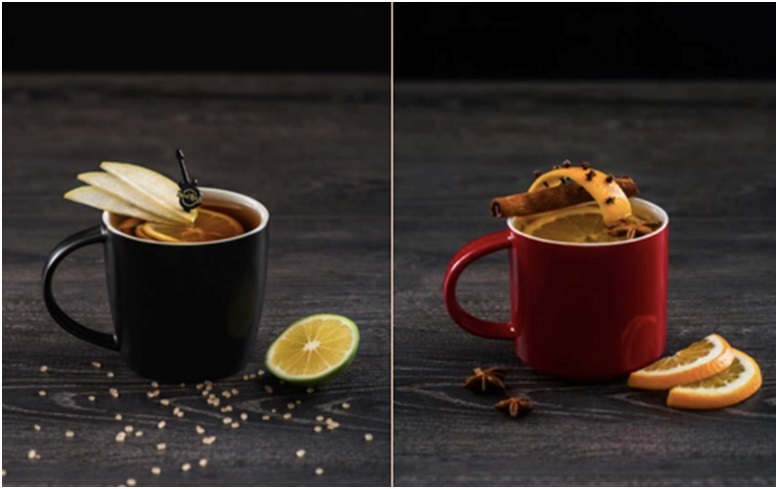 Meanwhile, 3 new choices of hot cocktails are offered to all customers in this winter. 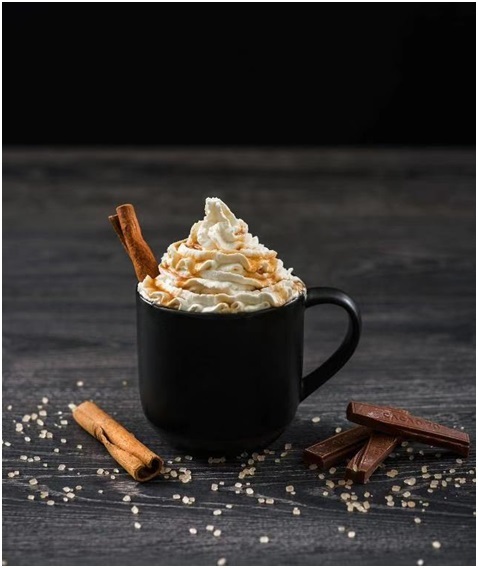 You may indulge into the sweet warm cocktails, or search the trace of handmade chocolate in the mixture of milk and brandy enhanced by nutmeg, or enjoy a glass of brandy srounding by the touching music. The Bourbon strong, and the Toddy soft, both smelled like fresh fruits, with traces of bouquet here and there, warming your body and impressed your stomach. Some crave for the food, some yearn for the music. As a fashion icon of music, not only has Hard Rock an attractive menu, varities of spectacular themed music activities will be held frequently to leave you unforgettable and unique experiences. Moreover, the place is a like a ‘music museum” where costumes of Lady Gaga and G.E.M Gloria Tang wore on their live concerts are displayed, even the very musical instruments held by Lenka in her world music tour. 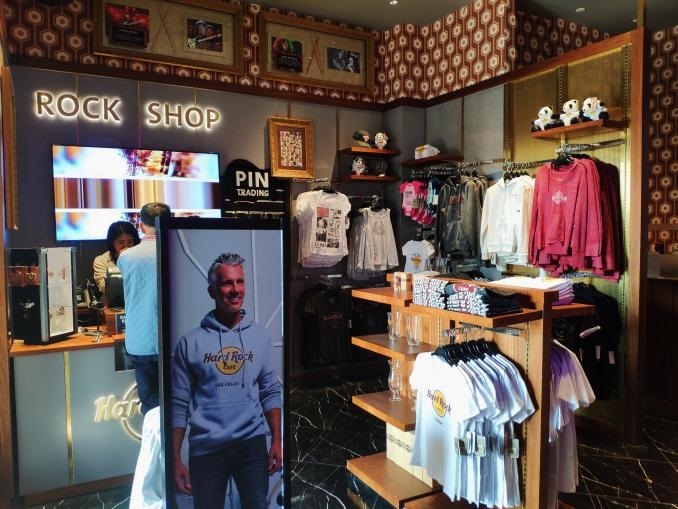 Such collections are surely not for sale, though, what you can take home are Tees, sweaters and pins and other collectable items in Rock Shop . Hard Rock, Where music meet gourmet.